Camping for our family looks like pop-up tents, cozy down-filled sleeping bags, hammocks, and s’mores by the campfire under a star-studded sky. Glamping folks favor awe-inspiring nature coupled with modern luxury. Sleep in a queen bed while plunked in the middle of the wild, unapologetically. In other words, glamorous camping. We’ve camped and glamped and we love both kinds of experiences. Both can offer divine sleeping experiences, especially if you own the right sleeping bags and pads for tent-camping. I’ve rounded up some of the most scenic places to camp and glamp in the USA and around the world. Thanks to my family travel blogging friends, who’ve shared their beautiful favorite nature spots below, plus things to do and exactly where to stay. Here are some of the best campsites found on beaches, in the mountains and in between, plus fantastic glamping resorts in America and world-wide. If you are looking for a glamping experience with the amenities of a resort, Under Canvas delivers. They operate glamping resorts outside of many U.S. National Parks, which offer a range of accommodations from tipis to multi-room luxury tents. We stayed in a Stargazer Tent, which included a clear plastic arch over the top of the bed so that you can lie in bed and watch the stars. The tent’s stylish design made it feel like you had stepped into a luxury hotel room in decor and size. Of course the best features are the full bathrooms, complete with a hot shower (even though you need to hold a chain to get the water to come out), and a wood stove for chilly nights. The “campground” included a full restaurant and bar in the main tent, as well as plenty of space to gather and hang out to play games or take part in evening activities. From the deck off of the lobby tent, you can even see the evening lighting of Mount Rushmore, although it is too distant to see it with much clarity. 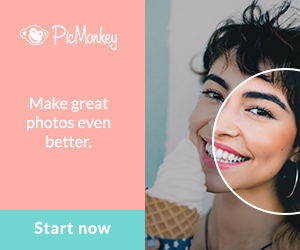 Nearby, you can visit Mount Rushmore, Crazy Horse, Custer State Park, and all the fun activities in the nearby town of Keystone, South Dakota. Glamping at Under Canvas isn’t cheap, but it is worth the splurge for a one-of-a-kind experience. Padre Island National Seashore is part of the United States National Parks System. It is the longest undeveloped stretch of barrier island anywhere in the world. Located about 3 hours south of San Antonio it’s easy to get to and many parts of the island are accessible by road. The main visitor’s center is located at Malaquite beach and offers bathrooms and free showers and a beautiful easily accessible beach. Several times a year the rangers will release hundreds of rescued baby sea turtles whose eggs had been found earlier in the season. The fishing is great. Plus, Padre Island National Seashore is only a few miles from Corpus Christi, where Sharkathon is held annually. It’s also a great spot to have a picnic, with shelters located here as well. We enjoy searching for seashells and building sandcastles. But the best thing about Padre Island National Seashore is camping on the beach. If you want to camp on the beach, you can’t make a reservation. You have to pay the park entrance or have an annual pass, but the camping itself is free. It’s first-come, first-serve and gets very busy on holiday weekends. But it’s totally worth it. This is one of the few places in the country where you can pitch your tent on the beach, fall asleep to the sounds of the ocean and wake to the sun rising over the Gulf of Mexico. Learn more here from Adventures in San Antonio. Taking a trip to the Florida Keys should be on everyone’s bucket list. From beautiful sunsets and aqua-blue water to fun places to eat and amazing snorkeling, you can’t go wrong in the Keys. We found our family’s camping spot in Florida at Bahia Honda State Park when I was searching for the best things to do in the Florida Keys with kids. 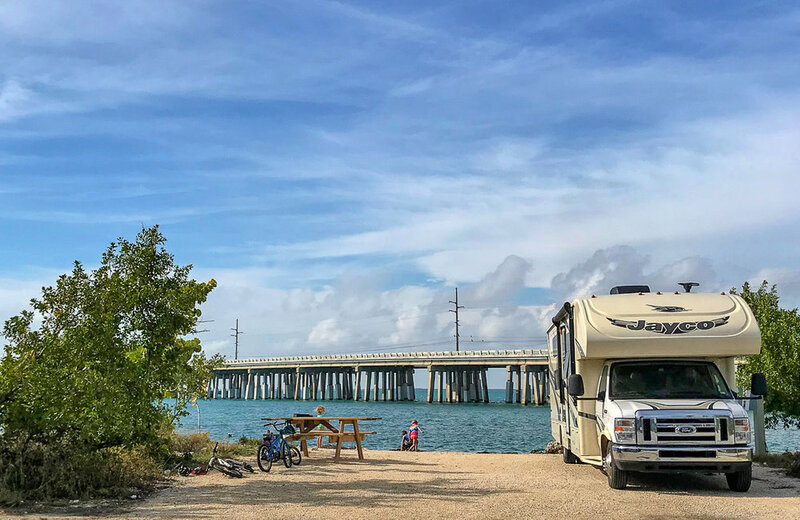 Finding great camping is something our full-time RV family looks for every week, and hands down, Bahia Honda has been one of our very favorites. Located about 40 minutes from Key West and just across the 7-mile bridge, the campground location is just about perfect. Be warned though, it can be hard to find available campsites. We booked our campsite 11 months in advance and it was totally worth it! Our campsite just happened to back up to the ocean where we watched the sunset each night. 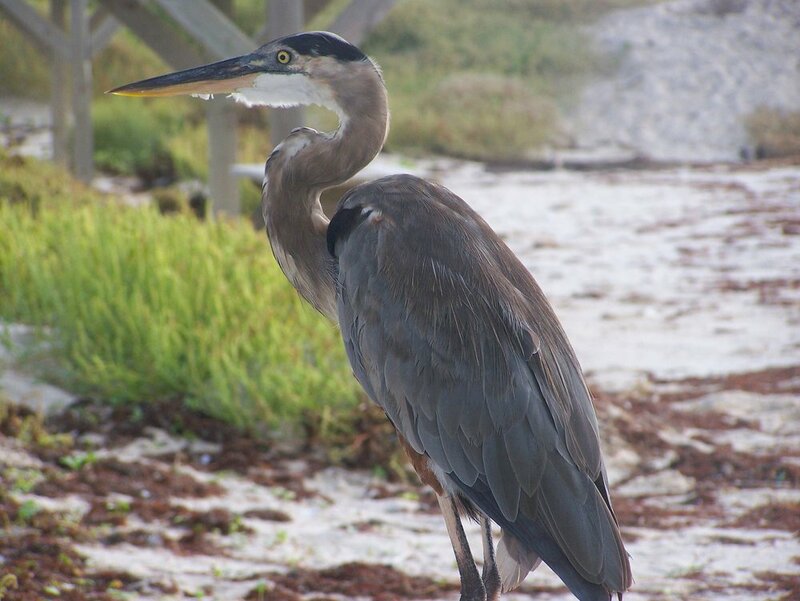 When camping at Bahia Honda you can walk to their great snorkeling beaches, go swimming, rent a kayak, visit their nature center and you’re just a short drive to some of the best beaches in the Florida Keys, including Sombrero Beach in Marathon. The idea of roughing it or parting with the creature comforts like a comfy bed doesn’t really appeal to my brood, so when we go camping we opt for a luxurious cabin instead. Being only 3 hours away from Dallas, Beavers Bend State Park in neighboring Oklahoma is the perfect fall or spring getaway. Enjoy hiking, canoeing, hunting, swimming, fly fishing and other water sports during the day. Spend your evenings in luxury cabins with cabin chefs and even arrange for in-cabin massages during your getaway at Beavers Bend Oklahoma. Charter a speed boat or a pontoon boat and explore the lake. River Man Trail rides are located in the Ouachita Mountains in the heart of Southeast Oklahoma, just 10 miles west of Broken Bow. Perfect place to spend a few unplugged days away from the city in the pine scented wilderness. The cabins in the area have everything a city family needs for a night in the woods – hot running water, electricity, air conditioning or heat, lush linens, granite counters, fireplaces, hot tubs and plenty of space to stretch out and unwind. Learn more about Family Getaways from Outside Suburbia. Keep scrolling below and discover more inspiring Glamping Spots Around the World. Check out Trips to Discover’s 11 Best Glamping Spots in the USA. Jordan is a must for anyone with an interest in history, culture and nature. Its most famous landmark, Petra, is famous for a reason – its archaeological marvels are nothing short of awe-inspiring. Floating in the Dead Sea is another experience not to be missed – the ability to float, just suspended in the water, is completely surreal. But it was Jordan’s hidden gems that really captured my imagination. The ancient Roman ruins in Amman and Jerash are incredible! And Wadi Rum (the Valley of the Moon – the place where Lawrence of Arabia was filmed) is like nowhere else you’ve ever been! People generally don’t come to Jordan just to go to Wadi Rum and usually arrive from Amman, Petra, the Dead Sea, Madaba or Aqaba (Red Sea). In Wadi Rum itself, you can self-drive or hire a Bedouin driver to give you a tour. The landscape is out of this world, feeling more like Mars than Earth. There are incredible natural rock bridges and bright red sand dunes; canyons, water holes and 4000-year-old rock drawings. The unique signature Martian dome tents of Sun City Camp are absolutely amazing. The evening meal is cooked underground and the show when they dig it up and present it is worth a watch. (Side note – the kids didn’t exactly embrace this food and there’s nothing else on offer). A place that looks more luxurious, but that we didn’t see until after our trip is the Petra Bubble Hotel. Learn more about Inspiring Jordan Itineraries from Wanderlust and Wetwipes. Khao Sok National Park in southern Thailand is a unique place with spectacular scenery and wildlife, very different from busy towns and popular beach destinations nearby. It’s a perfect place for nature- and wildlife lovers and everyone who wants to unplug from the hustle and the bustle of the everyday life. Probably the most unique place to stay in Khao Sok NP is the Elephant Hills resort. Elephant Hills has luxury tented accommodations at two locations: Elephants Camp and Rainforest Camp. Luxury tents are all equipped with comfortable beds, private bathrooms, and beautiful terraces with hammocks and outdoor chairs. Each tent camp has a restaurant (and meals are included in your stay). The only difference between the two camps is that the Rainforest Camp is floating on the lake. Glamping at its best! There are no family tents at Elephant Hills, but you can book two tents for a family of 4 to 6 people (they can add one extra bed per tent if necessary). Elephant Hills takes pride in offering sustainable and responsible tourism experiences. You can meet and interact with the elephants. Kids will love feeding and washing these magnificent animals! In addition, there are many other activities like jungle trekking or canoeing, swimming, kayaking, and more. All activities are organized by the Elephant Hills and included in your stay. Learn more about Elephant Hills Resort in Khao Sok National Park, Thailand here. We love to glamp, and we were lucky enough to stay at the Llechwedd Slate Caverns. Situated in the heart of Snowdonia National Park on the outskirts of Blaenau Ffestiniog, Llechwedd Slate Caverns is a fantastic attraction that transports you back in time to learn about the region’s slate mining. At Llechwedd Slate Caverns, there are six safari lodges, four of which sleep five and two sleep four. The lodges are absolutely beautiful, fully equipped and positioned high up on the hillside — offering spectacular views of the rugged landscape. *North Wales is a geographical area of Wales that includes Snowdonia National park, and Gwynedd, Anglesey, Wrexham, Flintshire, Conwy and Denbighshire. Facilities on site include a gift shop, Quarryman’s Tavern, The Emporium for cake and coffee, and a cafe that is perfect for breakfast! The are various tours to choose from including the Llechwedd Deep Mine Tour, The Quarry Explorer, Walk in the Footsteps Tour, and the Zip world. During our stay we also experienced a family ride on an old fashioned steam engine from Blaenau Ffestiniog to Porthmadog - Blaenau Ffestiniog is just a few minutes drive from the glamping site. Learn more about glamping in North Wales from Otis and Us. Hidden Valley Yurts is a beautiful selection of traditional Mongolian yurts, set deep within the South Wales countryside. This is the place to head for a back-to-nature experience. As soon as you arrive, you’ll notice the fresh clean air, the wonderful views and the lush green Welsh countryside. There are five Mongolian yurts to choose from with Hidden Valley Yurts, all with hand painted, brightly colored doors. Each yurt sleeps between five and seven people, so perfect for families or friends. There is a large decked area surrounding each yurt, complete with chiminea and built in BBQ. Hidden Valley Yurts is located on an 80 hectare site, complete with meadows and woodland. There is plenty to keep everyone occupied, with chickens to feed and eggs to collect, woodland to explore, rope swings and games of hide and seek. This is the chance to get back to nature without the distractions of technology. Further afield, South Wales, with its castles, pretty towns, mountains and rivers, can be easily explored. Further reading: Around the World at 52 of the Best Glamping Spots.